A DHL cargo plane lands at CVG on Monday, March 25, 2019 after it was struck by lightning. HEBRON, Ky. -- A cargo plane landed at Cincinnati/Northern Kentucky International airport Monday morning after it was struck by lightning, according to airport spokeswoman Mindy Kershner. 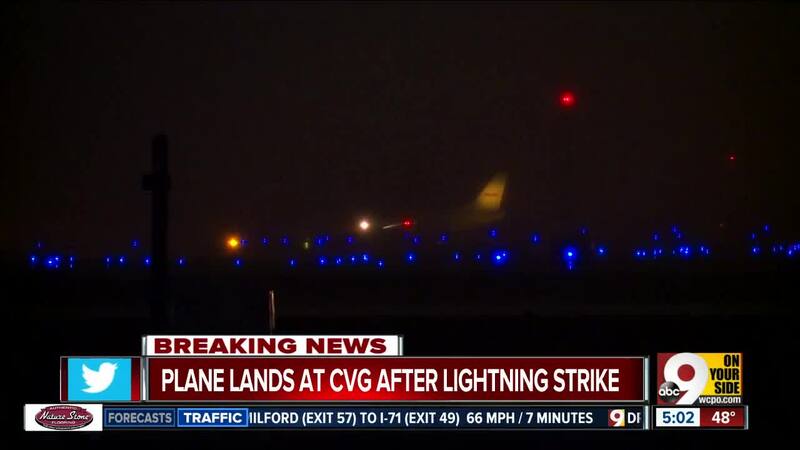 The DHL cargo plane landed at CVG after it was struck by lightning at about 2:30 a.m., Kershner said. No one on board was injured. The fire department had been stationed at the tarmac, but crews were not needed once the plane landed. Officials are working to determine if the plane had to make an emergency landing at CVG or if the airport was its final destination. DHL officials have not yet released information on how many people were on board, what type of plane was involved and what the extent of damage is.